Decidedly, the quarrel between London casinos and their players is not far from ending. 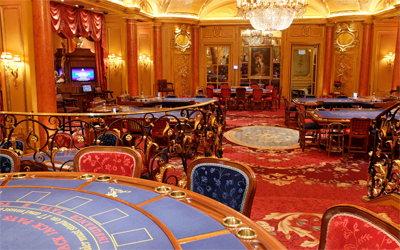 After Phil Ivey cheating case in a London casino, it is the turn of a Swiss businessman, an amateur of casino gambling to conflict with the Ritz Casino in London. Abdulla Al-Safa Geabury failed to prove face to the court his vulnerability to addiction to gambling and was forced to pay 2 million pounds (about � 2.845 million) to the casino. The case dates back to February 19, 2014 when Abdulla Al-Safa Geabury visited the Ritz Hotel Casino Ltd to indulge in his passion. The billionaire signed a check against chips. Having lost everything at roulette, he asked for a credit valued five million pounds, or about � 7 million. The casino refused to lend him the money and the player decided to not pay the original check. When the casino took the case to court, Abdulla Al-Geabury argued in front of the court that he had a gambling addiction and that a prohibition application to play had already been presented to the institution. The lawyer of the player, Kevin Pettican, supported the existence of the request for exclusion for all gaming facilities operated by London Clubs International with a form stating that Abdulla Al-Geabury has a "brain problem" and that he has an addiction to gambling. Following a review by a psychiatric expert, the judge Justice Simlers rejected his requests. The defense acknowledged that he has never informed the Ritz Hotel Casino board of director as being victim of a problem of severe addiction to gambling. This page has been viewed 218 times.